This is our first and original page that lists auction information, and have recently added a section specifically listing art auction houses around the United States as well as International auctions. This page still has useful information about art auctions, so check it out. For further listings please visit our new ART AUCTION HOUSE section. One of the world's fastest growing auction house, it is also the world's oldest and largest auctioneer of fine art and antiques still run by auctioneers. They are recognized worldwide throughout all sectors of the fine art, antiques and collectors market, and several of its departments are already established world leaders within their category. Christie's salerooms have been a popular showcase for the unique and the beautiful since 1766. They provide a variety of services for art collectors and their website has a good FAQ's page that discusses how to buy and sell at auction. 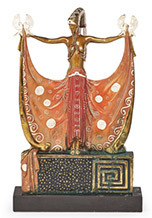 Every year the Dorotheum hosts approximately 600 auctions. With a staff of over 400 and more than 70 art experts in a wide variety of collecting areas, are at your service not just in Vienna but in a number of branch offices throughout Austria and in the capital of the Czech Republic, Prague. One of the world's most prominent auction houses. They provide art collectors with a wide range of services, including trusts, estates and appraisals, plus presenting major art and antique auctions throughout the world. Founded in 1941 as an auction house specializing in Rare Books. Today Swann has separate departments devoted to Photographs, Posters and Prints & Drawings, in addition to Books, Maps & Atlases and Autographs. Paris-based auction house is the largest auction company in France and considered to be one of the largest auction firm in the world. Their web site is informative as well as being written in French and English. Villa Grisebach is the top-selling auction house for Modern Art in Germany since 1988 with the main focus on photography and art of 19th to 21st century. 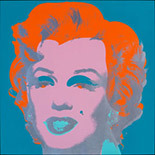 Further it has remained the unchallenged market leader in German 20th century art. All of this is a result of the great dedication of a highly professional team. Our representatives and offices are located in Berlin, across Germany, Switzerland and North America. There are two suites of sales annually: spring and late autumn. Barnebys is a one of the worlds largest search engine for art, collectibles and antiques. Our service offer users to browse hundreds of thousands lots and realized prices from more than 700 auction houses. Barnebys is a useful website to compare and find out prices of different objects with our price bank and free appraisal service. Website: Barnebys.com. For business inquiry, telephone: +1 929 24 88 134. LiveAuctioneers.com provides bidders with unprecedented levels of access to hundreds of auctions and remote saleroom floors the world over. Through its exclusive technology and services suite, as well as it's partnership with eBay Live Auctions, LiveAuctioneers.com connects auction houses and bidders worldwide. Updated daily, the LiveAuctioneers.com database features thousands of items to be sold in upcoming auctions as well as more than five million fully illustrated and annotated auction results. There is no charge to access this database of auction-archive data. Special section on eBay for buying and selling art. You can buy and sell anything, including collectible fine art. Several million items on sale daily. Most auction houses now have a web enabled method for bidding online. If you're new to online auction be very careful when you first start bidding with online auctions. Purchase one or two low priced items to get used to the bidding process. Also, make sure that you know the auction rules and what your payment requirements are for successful bids. You might want to check on the estimated shipping costs, the auction house should be able to assist with this. Interested in buying at Art Auctions, read Maynard Elliott's Ten Rules for Buying Art at Auctions. It provides information on how to successfully purchase and bid for fine art at auctions. The article was written several years ago so keep this in mind and make adjustments for current art auctions.